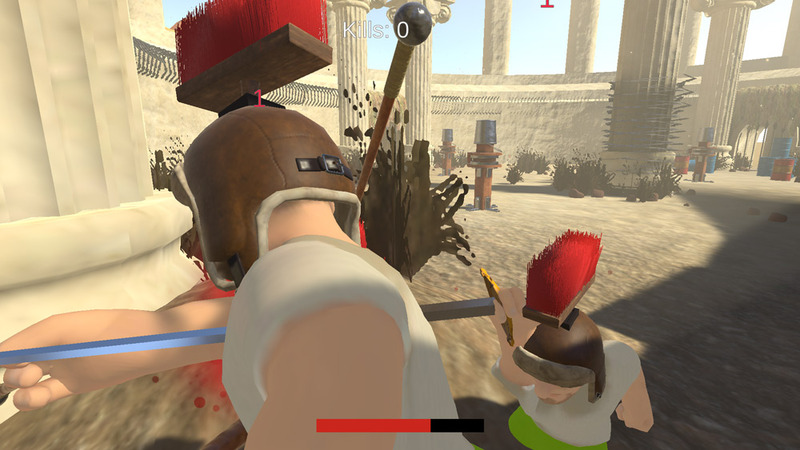 "Forge your own weapon before entering battle"
Forge and Fight is an action fighting game where before you enter the gladiator style arena you can forge your own formidable weapon to give yourself the best chance of survival against your opponents. 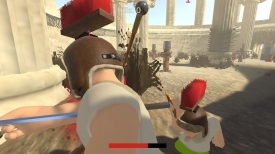 The arena is not just filled with opponents and adversaries but also some booby traps such as rotating spikes and exploding barrels which can work both for and against you, you can try to lure your opponents in to the traps and use them to defeat them but be careful you don't get sliced or exploded yourself! The game looks kind of good but there are a few issues where the mouse sensitivity can cause the camera to swing around to angles that will not make the game easy for you, the game play is fun although it really is just hack and slash but the funny men running around in just their underpants should give most people a good laugh and it is challenging enough to keep you returning and getting at least a couple of kills per round is an achievement, however if you don't feel you are doing to well you can always go back to the main screen and forge yourself a weapon more to your liking. 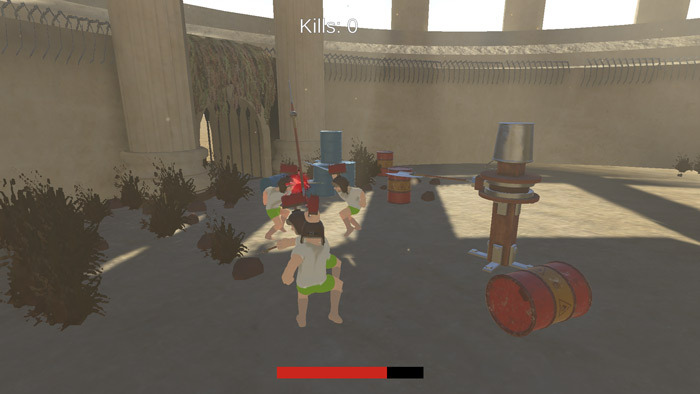 Forge and Fight can feel a little unpolished at times but it is also a fun and intriguing game, you can download it here for free.